What is the most important channel or Mai? The answer is it is the Chong Mai 衝脈. Why is this? 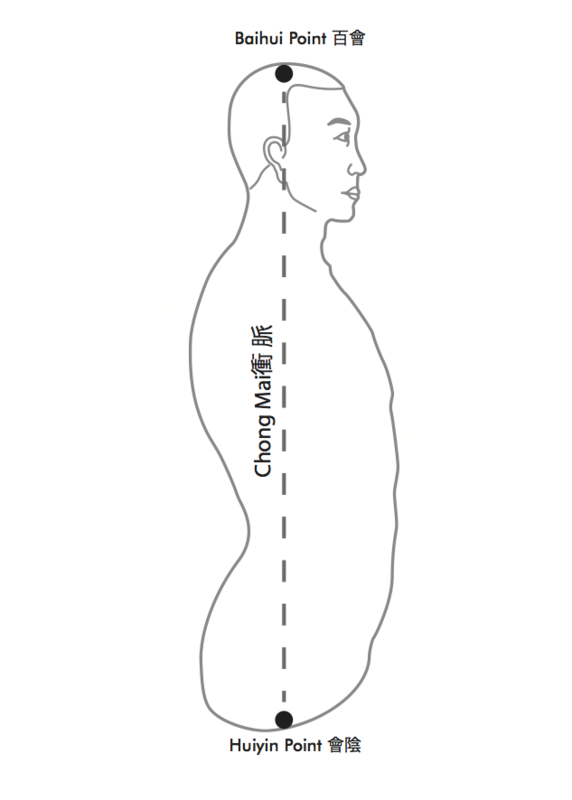 The first thing we have to realise is that in Qigong the Chong Mai follows a slightly different path to that in acupuncture charts, why is this? The system of channels and point that people learn about today is for ordinary people. Ordinary people’s Qi is ordinary, some are strong and some are weak and the Qi flows in a certain way. In the past, Chinese people discovered acupuncture points and channels based on ordinary people and particularly on those who were weak or sick. Therefore these people’s Qi was weaker. However a Qigong practitioner develops very strong Qi and when the Qi is stronger it flows in different way. It is a like a mountain that has many streams running down it. Normally the water will run a certain way down, but after heavy rain the water will rain more quickly and find a straighter more direct route down the mountain. The same is true of our bodies and our Qi, so this is why the location of some of the acupuncture points and channels is different. 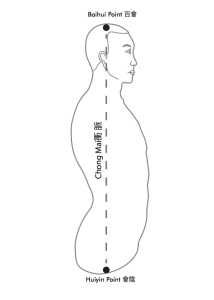 In the Qigong system the Chong Mai runs directly up to the Baihui point 百會 on the top of the head from the Dantian and runs down to the Yongquan points 涌泉 on the soles of the feet.